Dette kategori indeholder Lommeurs vedhæng med Western eller Cowboy tema. Lommeurs vedhæng blev brugt på urkæder og var populære under victorianske tider og efter. Mange stilarter, især reklamedesigner, er stadig lavet i dag. Colt MFG. Co. Logo Watch Fob. Colt MFG. Co. 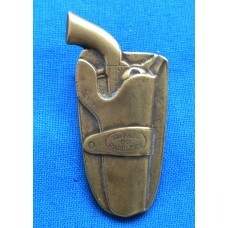 Logo Watch Fob.Colt MFG.Co. 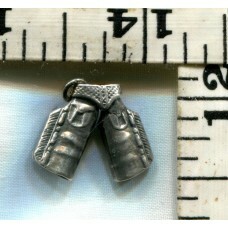 Silver Fob in very good condition. You receive t..
Drovers National Bank of Chicago Watch Fob with StrapVintage Drovers National Bank of Chicago Watch ..
GS Garcia Brass Saddle FobGS Garcia Brass Saddle Fob. 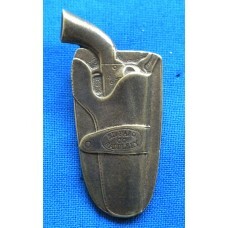 Really nice fob measures about 1 1/4in by 1 3/..
R.T. Frazier Pueblo Vintage Saddle Watch Fob. 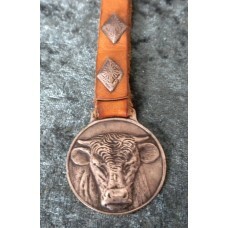 R.T. Frazier Pueblo Saddle Fob. 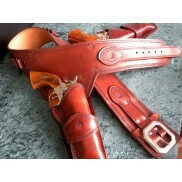 R.T.Frazier Pueblo Saddle Fob in brasstone Excellent condition. On t.. 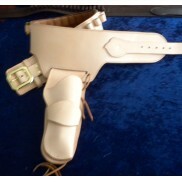 Smaller El Paso Saddlery Colt Single Action Army in HolsterThis fob shows to have a little wear.. Smaller El Paso Saddlery Colt Single Action in HolsterThis fob shows to have a little wear to it, ha..
Smith & Wesson in Fancy Tooled Holster, Beautiful Brass Watch Fob. 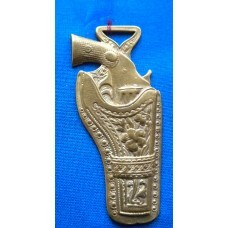 Smith & Wesson in Fancy Tooled Holster, Beautiful Brass Watch Fob. This Smith & Wesson Brass..
Teddy Roosevelt Rough Riders Logo Watch Fob with StrapTeddy Roosevelt Rough Riders Logo Watch Fob wi..
Vintage Sterling Silver Cowboy Chaps Fob or Charm. 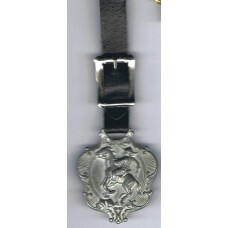 Vintage Sterling Silver Cowboy Chaps Fob or Charm.Vintage Fob in the Shape of Cowboy ..
Wells Fargo Forwarders Brass Fob. 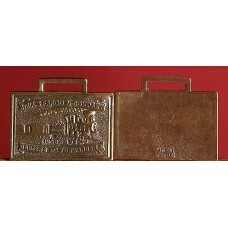 Wells Fargo Forwarders Brass Fob.Wells Fargo Forwarders Brass Fob. 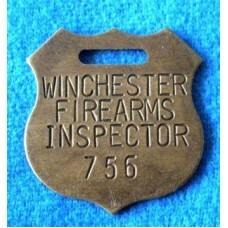 Wells Fargo Bankers And Forwarder..
WINCHESTER CENTURY OF LEADERSHIP 1866-1966 MODEL 66 HENRY RIFLE WATCH FOBThis is a 1966 Winchester..
Winchester Firearms Inspector Fob Number 756Brass Winchester Firearms Inspector Watch Fob Number 756..
Winchester Repeating Arms Logo Fob. 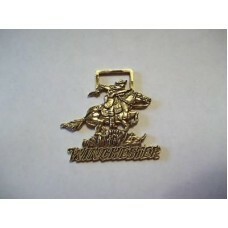 Winchester Repeating Arms Logo Fob.Winchester Repeating Arms Silver Fob in very good condition..